Weight training is the ideal companion for any weight loss program because it helps maintain bone density while you’re dropping those extra pounds. It is an important training technique for men and woman alike. Many women have shied away from lifting weights in fear of increasing muscle mass. The truth is that by adding weight training to any weight loss programme will help to shape and tone the muscle giving the body a more sculptured look. An individual programme will be designed for your particular needs whether it is to gain muscle or lose weight, so have no fear of the weights they are a tool to help you reach your fitness goals. 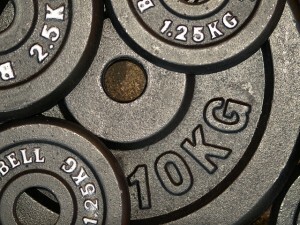 Weight training helps with a boosted metabolism (which means burning more calories when at rest) with reduced body fat. Your overall weight may not change, but you will gain muscle and lose fat. Over time you should notice decreases in waist measurements and body fat measurement. The conditioning effect will result in firmer and better-defined muscles.